The activities such as Ornamental fish breeding and culture in Lakshadweep and product development from non-conventional fishery resources etc. are taken care of in this component. 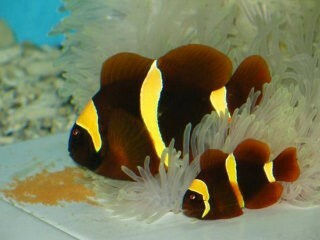 Marine ornamental fishes such as the clown fish, damsel fish etc which are used in marine aquaria have huge international demand. The coral reefs of Lakshadweep harbor several such ornamental fishes. Taking this into consideration and the availability of quality sea water, CMLRE, initiated a programme on Hatchery production of marine ornamentals at Agatti Island, Lakshadweep in 2010. 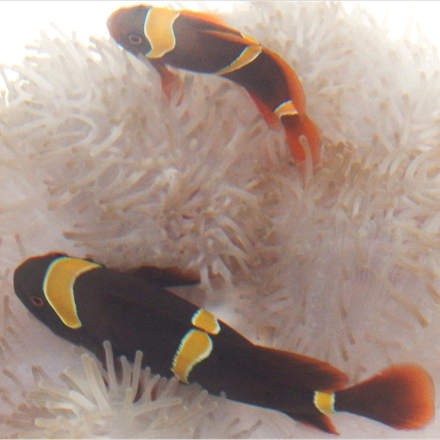 A full fledge hatchery unit was set up and the technology for breeding of three species of clowns, Amphiprion percula, A. nigripes and A. clarkii and two species of damsels, Dascyllus aruanus and Chromis viridis has been developed and breeding technology has been standardized and perfected. Hatchery grown fishes are much sturdier than fishes caught from wild and have very high demand in both national and international markets. Through repeated rearing experiments, survival rates of the juvenile were improved to desirable levels, following which commercial scale production was initiated. As part of this, regular training to islanders for 10-15 days duration in an interval of 3 months has been providing on various aspects of breeding and rearing. Trained islanders were encouraged to form a Society- Marine Aqua-Tech Farmers Association (MATFA) under the U. T of Lakshadweep Administration and were registered under Department of Women Welfare and Child Development. CMLRE regularly supply one month old juvenile fishes to the Society who further rear upto 3-4 months before supplying to entrepreneurs. Arrangements were also made for ensuring that juveniles produced by the islanders have ready market. The islanders thus generate the income by selling juvenile fishes to the entrepreneurs. Taking the success of this project, it is proposed to extend the scope of activity covering more species of clown fishes and damsels, and taking up these activities to more islands of Lakshadweep through an understanding with the Lakshadweep Administration. 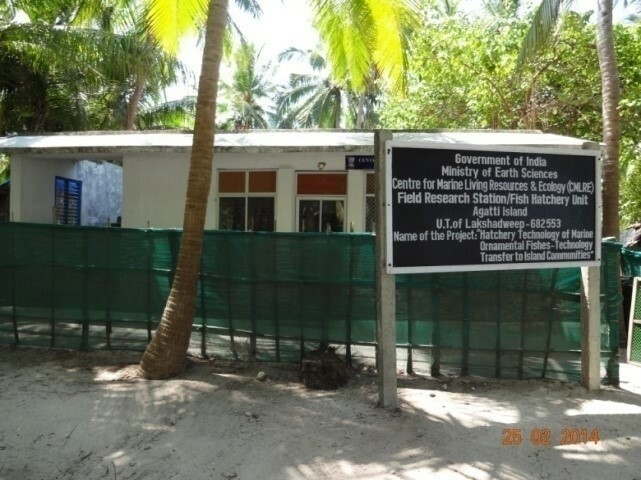 Commercialization and backyard hatchery system is taken up initially at Agatti, which will be extended covering more islands and islanders as advised by Lakshadweep Administration. 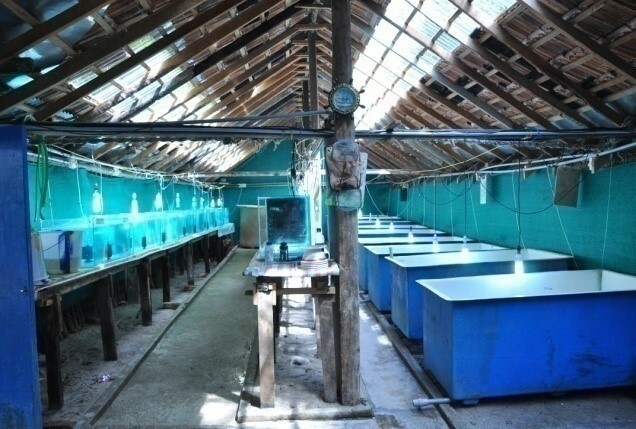 Training on hatchery technologies is given to batches of islanders in a phased manner. CMLRE will ensure the availability of entrepreneurs for the purchase of juveniles produced by islanders. The objective is to produce and market at least 50,000 juveniles in a span of 3 months on a regular and continued basis.